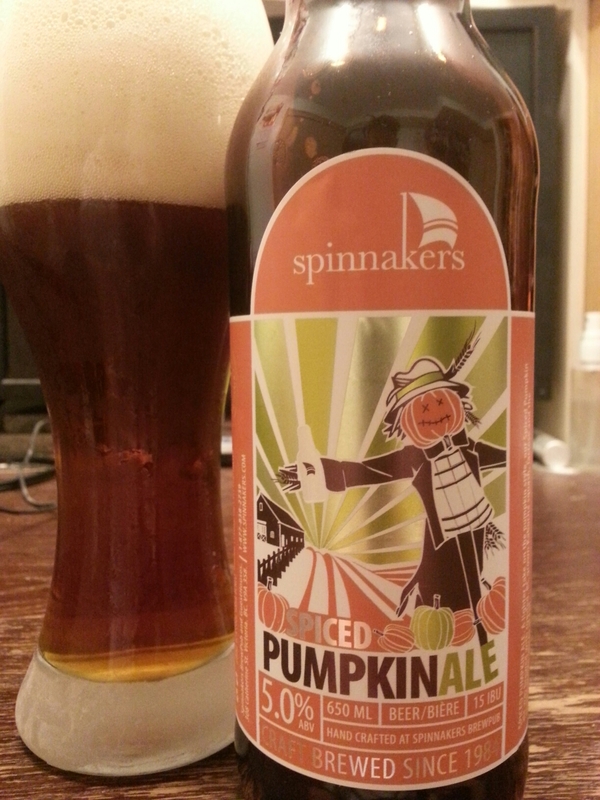 Spiced Pumpkin Ale – Spinnakers Brewpub (Victoria, BC, Canada) | Justintoxicated. Ingredients: aquifer water, malted barley, kabocha squash, lactose, yeast and spices. Visual: Pours cloudy amber brown with a large bubbly dissipating head, 2mm layer of retention, light lacing, very fast singular streams. 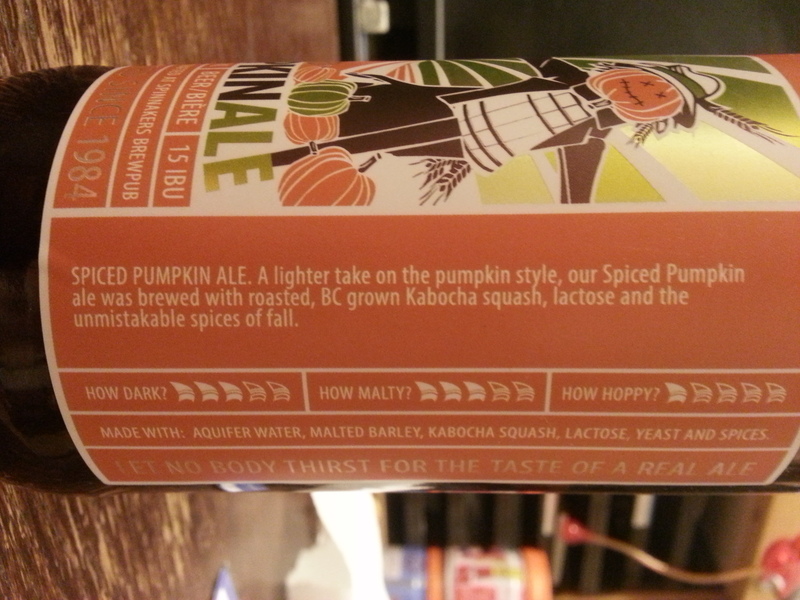 Summary: Sour pumpkin ale?! Totally caught me off guard. Decent body, aggressive on the sourness, okay flavours but lacks balance – way too sour.